Inu Clan Kaiken is a mercenary ronin for Ninja All-Stars. Ronin bring potent new abilities to a player’s team that are entirely unique to them. As mercenaries, ronin may be used by any player, on any team. This makes ronin invaluable assets for every team, regardless of clan, since they may be used to supplement a team’s weaknesses in battle or further augment their strengths. While seldom seen, the Inu are far more widespread than the other minor clans and far more congenial. Inu are very protective of their lands and their neighbors that treat them well, always coming quickly to their aid and fighting fiercely in their defense. 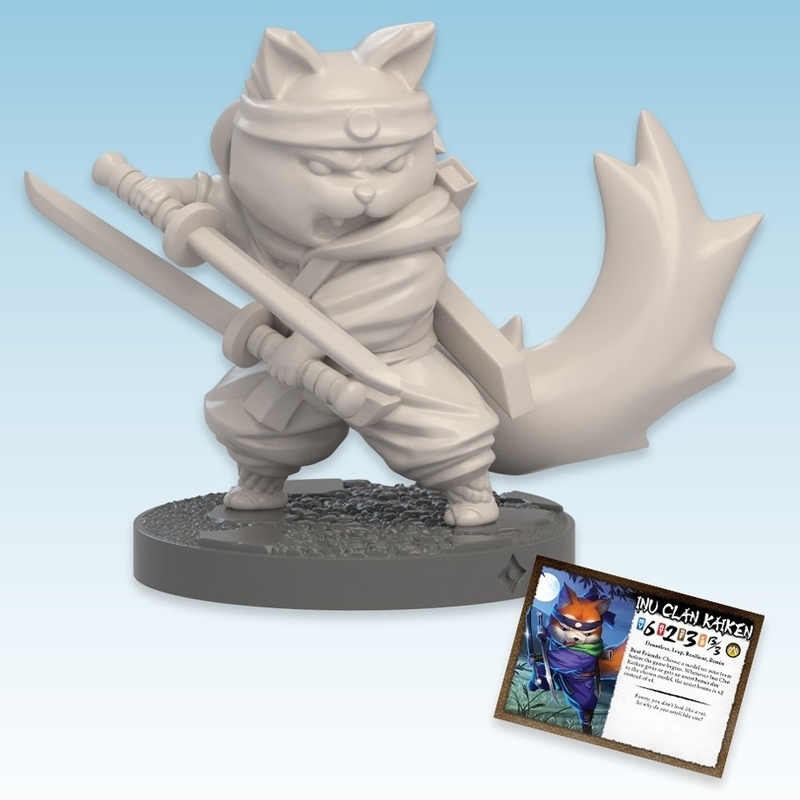 Though small and compact, Inu clan warriors are whirlwinds of frenetic energy, and many opponents have retreated from these warriors’ sheer enthusiasm.